Who says you have to sacrifice style for function? 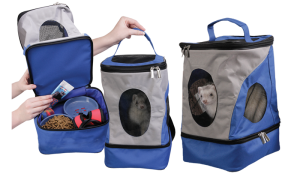 Now you can travel with your pet and look great too! 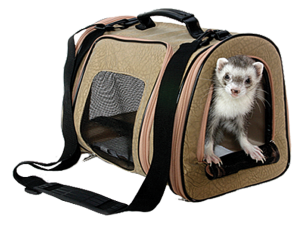 Comes in a faux suede fabric and has multiple vents for maximum airflow. Zippered areas and a removable mat make cleaning a snap.